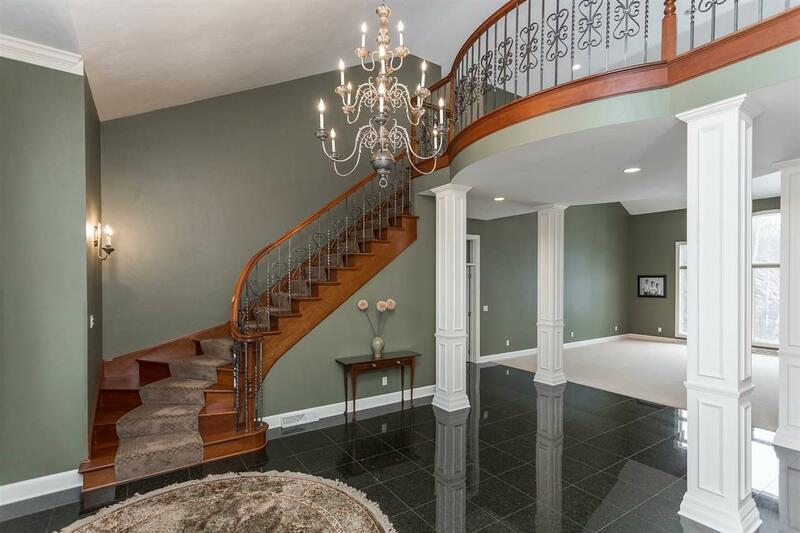 Pure elegance on 2.5 acres w/this custom 2-story walk out! 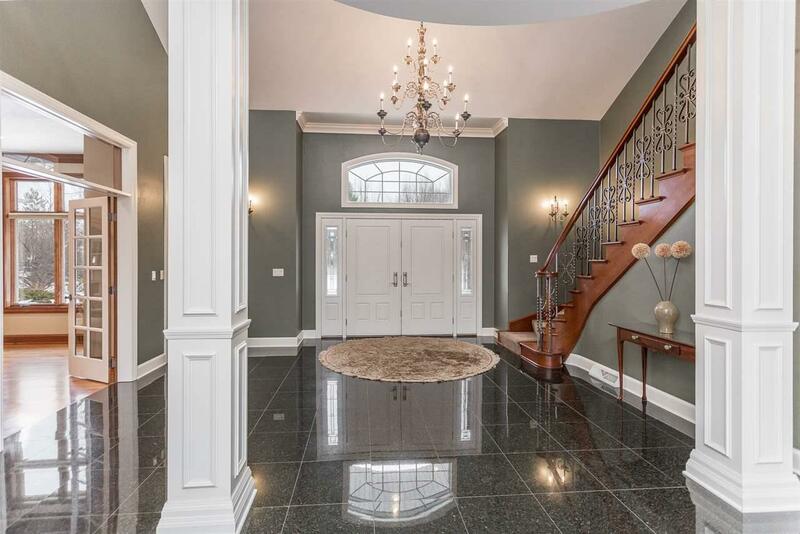 Grand entry way invites you in w/double doors&granite flooring. Lrg Anderson windows throughout capture an abundance of lighting. 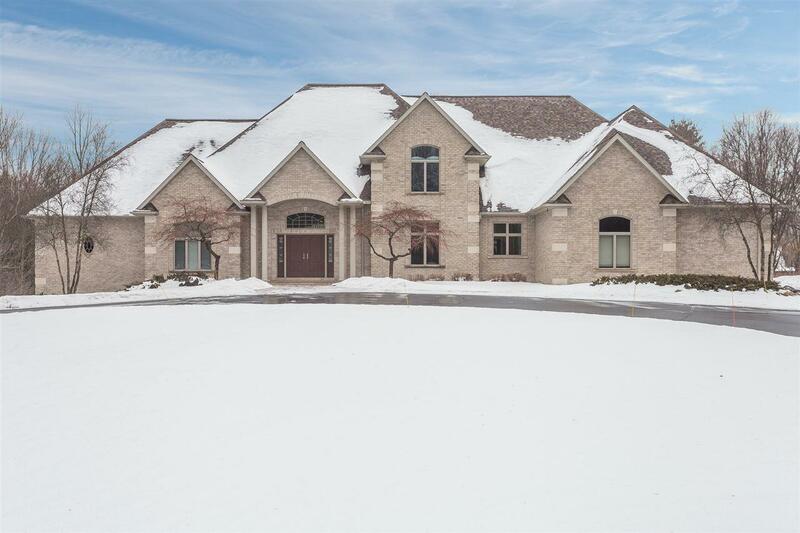 Heated cherry hardwood flrs&Door County Field Stone fireplace awaits you in the family room. 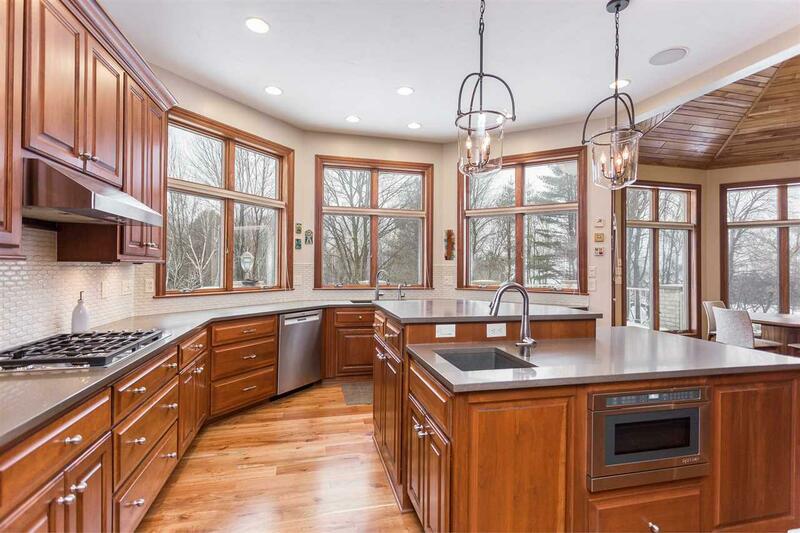 Kitchen with custom cabinetry&quartz counter tops. Master suite w/heated Ann Sacks marble flooring,soaker tub,steam shower,lrg WIC&adjoining study. This home has EVERYTHING you can imagine-surround sound,centralvac,sauna,basement access,security system,big concrete deck w/drains&shed below,μch more!